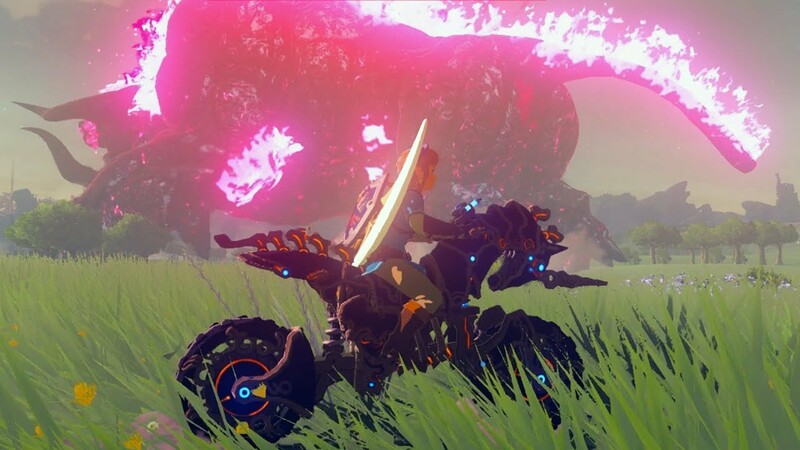 Daily Debate: Is the Master Cycle Zero Better Than a Horse? As Link’s very own Divine Beast, the Master Cycle Zero can be summoned to his side at any point, but following the recent update, so too can any horse. Soooo what’s the point? Apart from being intrinsically cool, despite the polarizing uproar amongst the fandom, Link’s new ride is much slicker (sorry Epona), mows down Bokoblins in style and transforms the vast world of Breath of the Wild into your own Motocross wonderland. It does come at a price however, the magi-tech bike will run out of juice eventually, needing to be fed spare materials to be powered up again. But who cares when you’re freewheeling down a mountainside? Horses on the other hand don’t require any fuel, just the occasional apple if you’re feeling especially generous. But they’re mortal, and can fall during a particularly brutal battle if you’re not careful, yet despite how quick the cycle feels, a 5-star horse is actually faster. Don’t believe me? Check this out. Surprising no? Both have pros and cons and can be spawned at any moment, but which do you prefer? Are you loving life on two wheels? Or do you prefer you’re stable of trusty, tamed, affectionately named horses? Let us know below!